Nest Bedding Reviews vs. Amerisleep: Which One Is Right For Me? Are you in the market for a new mattress? Maybe you’ve considered a mattress from Nest Bedding or Amerisleep. If so, you’ve come to the right place. Finding the right mattress for you can get complicated. We are here to help. We have consulted Nest Bedding reviews and Amerisleep reviews, and below we are sharing the information we found on each brand. No one wants to regret their decision after purchasing a mattress. To avoid that, there are a variety of components to consider when searching for the ideal one. First, you should read plenty of reviews. Second, compare and contrast each of these mattresses to end up with the one that’s right for you. 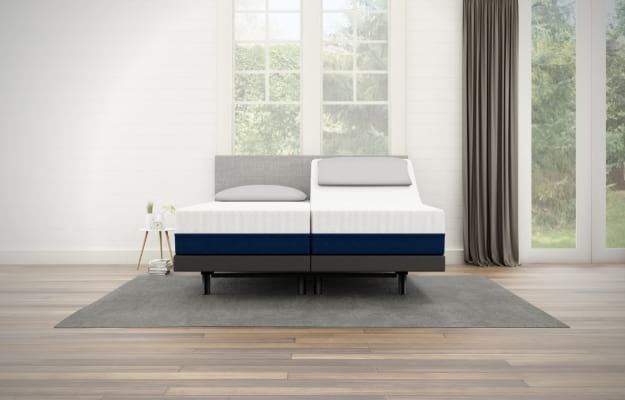 The Amerisleep AS3 was recently chosen by our editors as the best memory foam mattress of 2019. Both Nest Bedding and Amerisleep sell directly to the consumer. This allows them to offer quality mattresses at a competitive price along with a 100-Night Sleep Trial on their products. Both companies also have showrooms throughout the United States, where customers can visit and be treated to a customer-centric experience that doesn’t resort to high-pressure sales tactics. Both, in a way, represent the future of the mattress industry. The materials used in your mattress have a big impact on your ability to get a good night’s sleep. So it’s important not to overlook this key detail when shopping around for your next bed. Nest Bedding offers eight different mattresses, one of which is specifically designed to work as a kid’s mattress. The other seven mattresses vary drastically in construction and design, from all poly-foam to memory foam to latex to hybrids with individually wrapped coils. Amerisleep has five all-foam mattresses, and each uses plant-based memory foam to offer superior comfort and support. The top layer of each model is Amerisleep’s Bio-Pur® foam. Bio-Pur® is manufactured through a proprietary process, designed to create virtually zero emissions, making it the only foam manufacturing processes to exceed the standards set in the Federal Clean Air Act. This process and the material’s open-cell structure help make Bio-Pur® five times more breathable and 10 times more responsive than traditional memory foam. This promotes breathability, so you don’t have to worry about sleeping hot, and reduces the risk of experiencing that “sink in” feeling associated with memory foam mattresses. The materials are only one aspect of a mattress to consider. A quality mattress uses its materials in a way that complements the way people sleep. Nest Bedding mattresses feature different materials, mattress types, and compositions in each of their models. To decide which is right for you, it requires plenty of in-depth research. Looking for a blend of memory foam and coils for added support? The Alexander Signature Hybrid may be right for you. If you prefer a combination of supportive, eco-friendly foam and coils, their hybrid latex mattress may be the better choice. Amerisleep designed their five mattresses to accommodate all types of sleepers, with different needs and preferences. First, each Amerisleep mattress has a Celliant® cover. Celliant® is FDA-determined1 to promote recovery and restful sleep. Second, beneath the cover, each mattress includes the environmentally-friendly Bio-Pur® layer, designed to promote breathability, comfort, and support. Third, the AS2, AS3, and AS4 mattresses have their zoned support HIVE® layer beneath the Bio-Pur®. HIVE® is made of hexagonal cutouts, designed to deliver support where you need it and comfort where you want it. The AS1 does not have HIVE®, to help make it Amerisleep’s firmest mattress. The AS5 has HIVE®, but it is below a special layer called Active Flex. Active Flex is a latex-like material designed exclusively for the AS5 to make it their softest and bounciest mattress. The final layer of each mattress is Amerisleep’s Bio-Core®. Bio-Core® is a supportive and durable base that gives you and the layers above it full support. Amerisleep’s mattresses are designed with types of sleepers in mind, and their unique models complement one another. 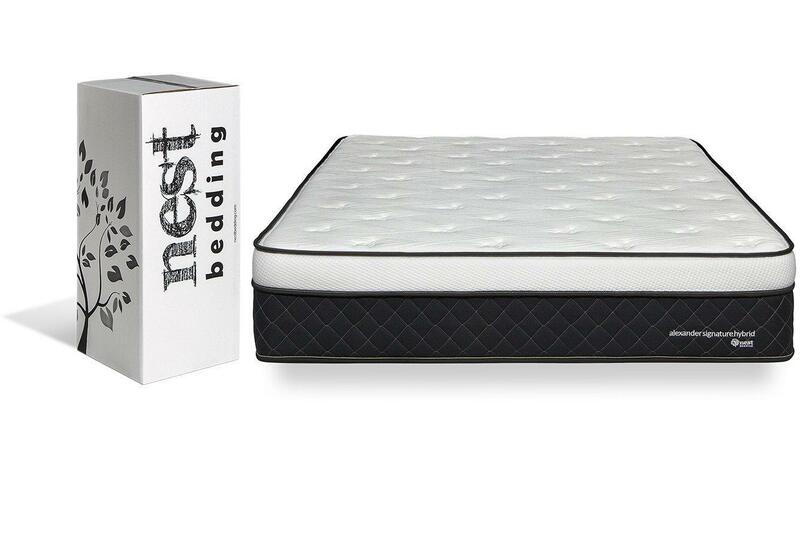 Nest Bedding has more traditional mattresses and is the company to choose if you are looking for a hybrid or traditional innerspring coil mattress. On top of searching for the right brand of mattress, you also have to consider which model is best for you. This takes a little bit of research but is worth it, as you don’t want to end up with a bed not suited to your needs. Interested in a memory foam mattress that has a cooling effect? The Love and Sleep mattress might be right for you. The Hybrid Latex mattress offers a product made from organic materials, such as wool and cotton, for the more eco-conscious consumer. The medium mattress (AS3) may be right for you if you change positions a lot in your sleep. Are you a stomach sleeper? Maybe you prefer to sleep on your back. In either case, choose between an AS1 and AS2. 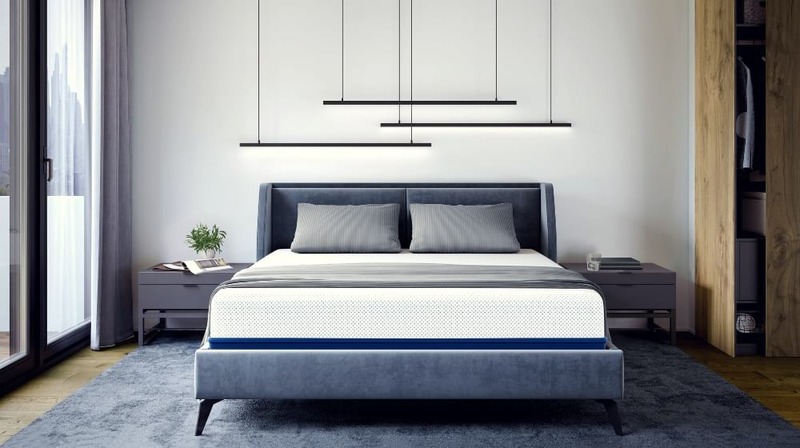 If you’re looking for the best mattress for side sleepers, consider the AS4 and AS5, which are a little softer but still offer great support. Amerisleep’s firm-to-softness scale provides an easy way to understand mattress types. For Nest mattresses, prices vary from $600-$1500 for a queen size. Amerisleep mattresses range from $1200-$2000 for a queen size. The softer mattresses use more material and cost more to produce. Higher-quality materials and environmentally-friendly manufacturing processes also contribute to these prices. If budget is your main concern, a mattress from Nest Bedding may be the right choice for you. However, for our vote, when factoring in the quality of materials and how the overall design of the product serves to provide a great night’s sleep, we think Amerisleep has more to offer. Take the time you need to consider your options. Only select a mattress if you believe it matches your specific sleeping needs. Which do you prefer — Nest Bedding or Amerisleep? Let us know your pick and why you chose it in the comments section below.